Looking Back At THE PRISONER | Warped Factor - Words in the Key of Geek. In a way it seems a bit arrogant to call the series that, at least at first glance. 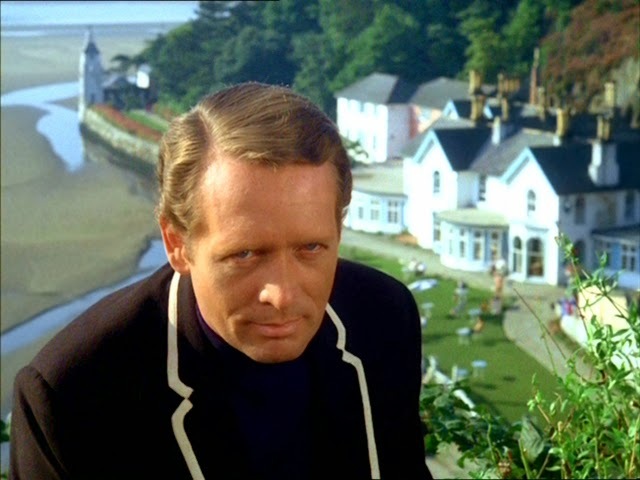 The Prisoner, after all, was a short lived series that ran for a single season in 1967 and a mere seventeen episodes. There are shows which have lasted much longer both in terms of seasons and episodes that have been forgotten about almost completely after all. Yet The Prisoner is far from a forgotten series. In fact it is still going strong today, just over four decades after it began and ended. Not only is The Prisoner Appreciation Society still very active but there continues to be a series of sequels and continuations in the form of novels (albeit in an on again, off again sort of way) and even a graphic novel. After years of efforts, a new “re-imagined” version of the series aired in November 2009 (though it met with a decidedly mixed response), and not forgetting the ongoing plans for a potential film version as well. All of this from a 17 episode TV series that, while it may have been short in life, had an idea at the heart of it all which keeps beating. But what is that idea? At it's heart The Prisoner is about a simple idea. What if a resigned secret agent, whose name was replaced by a number, was held against his will in a strange isolated community (known only as the Village) by those wanting to know why he had resigned? That at least would seem to be the basic idea at the heart of the series, which was the brainchild of Patrick McGoohan. McGoohan had spent much of the early 1960's starring as John Drake in the TV series's Danger Man and Secret Agent Man for Britain's ITV TV network, which had proven successful not only in the United Kingdom but elsewhere as well. 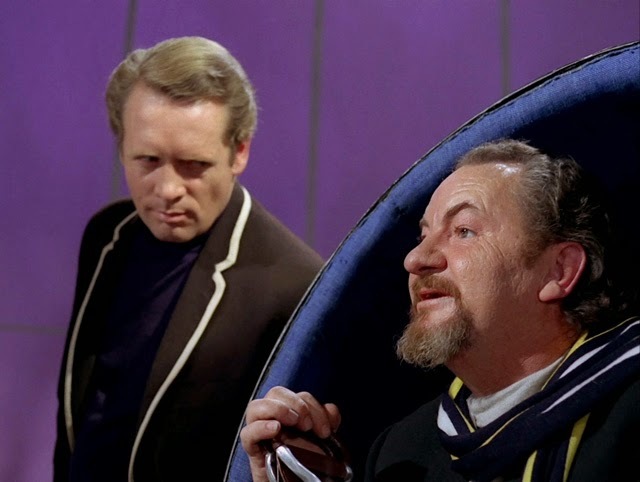 McGoohan, tiring of the series, quit, and went to ITV's owner Sir Lew Grade and brought him the idea of The Prisoner. Grade had some initial concerns about the show and it's concept. Would an audience really tune in week in and week out to see the hero fail in his attempts to escape his imprisonment? McGoohan persuaded him they would, and the two agreed to make the series. McGoohan would not only star but also be it's executive producer as well. Making The Prisoner was not easy though. It would end up being the most expensive which ITV had produced up to that time, due in large part to the massive amount of location filming done at the Portmeirion in Wales. 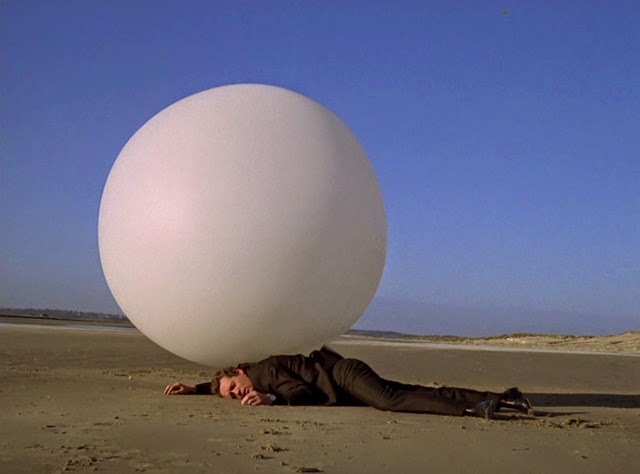 It would be plagued by production issues, including having its episode count changed at least three times, plus the firings of various people involved in the production, which meant that it was being effectively manhandled to completion by McGoohan himself. All of this for a TV series about a resigned secret agent held against his will. But that is too simple an explanation of what The Prisoner is really about. Although the statement is true, on the surface level at least, like most things in life though, there is much more to be found beneath the surface. What is The Prisoner about then? It's a spy series of course. It was as series that featured plenty of action sequences throughout it's run. 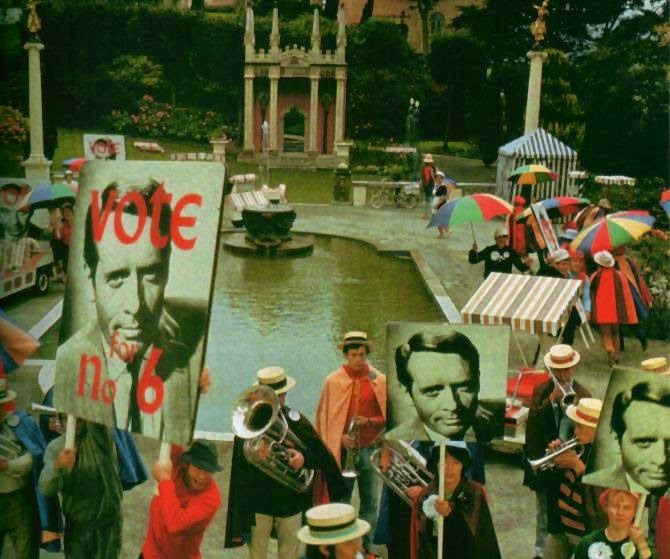 Yet it's a series that delved into political satire at times as seen for example in Free For All (which was written by McGoohan, though under the pseudonym of Paddy Fitz, and directed by him as well). It was also a series that delved into the realm of science fiction, with such concepts as mind control (as seen in numerous episodes) and the effect of technology on a society and its people (The General). It was a series about trust and betrayal, as seen through the lives of the people who live in a society ruled by a totalitarian government (as seen prominently in Checkmate and Hammer Into Anvil for example). Therefore The Prisoner was, in some form, a sort of social commentary. Across all seventeen episodes it is a story of one man's attempts to resist a totalitarian government and its various attempts to control, manipulate and oppress him. Grade was perhaps right to fear that the audience wouldn't tune in week after week to see the hero fail to escape. Yet despite the repeated failed escape attempts of Number Six he did succeed in doing one thing week after week. Number Six never gave into his captors wish for him to reveal at least one vital piece of information: why he had resigned. Escape might be impossible but the ability to resist and continue resisting was a source of strength for the series. It was also a series which could be virtually incomprehensible. Look no further then the one of the rather more famous stories out there regarding the show's final episode, Fall Out. 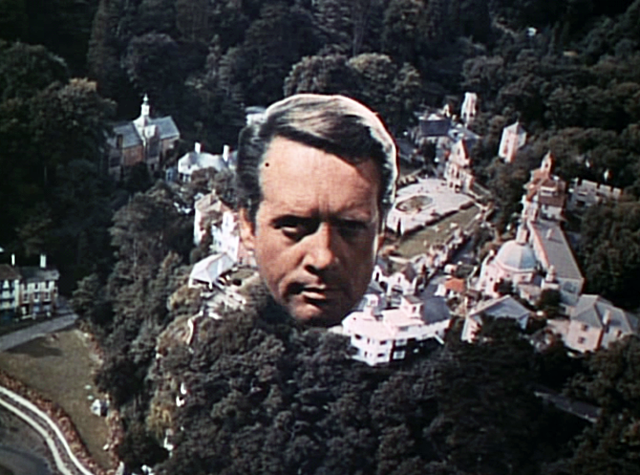 Following the UK airing people began to besiege the home of Patrick McGoohan who, was not only the show's star/executive producer but had also written and directed the finale as well. They came demanding to know just what the show had been about. 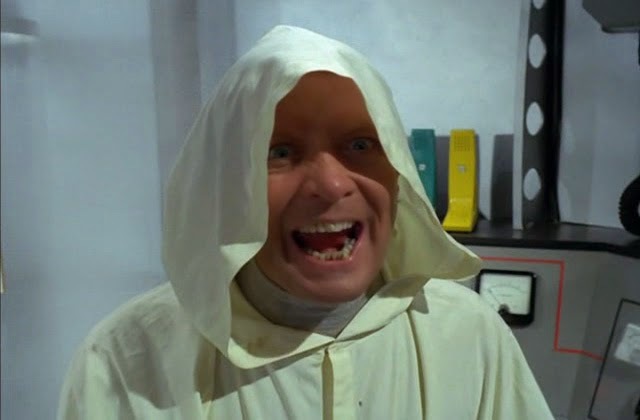 After all, they had watched for seventeen episodes expecting to learn (amongst other things) who the lead character (Number Six) really was, why he had resigned, what the Village was and, above all, the answer to the question in the opening of virtually every episode “who is Number One?” McGoohan, under a state of angry besieging as the story goes, eventually fled to avoid the questions for which he would give no answers. Ah the unanswered questions. McGoohan's concept (if not his star power of course) brought in the audience but it was the unanswered questions that kept them coming back. In the end it was those same unanswered questions which have kept viewers returning to the series for nearly 50 years, causing novels to be written, alongside countless articles and books about the series (including the one you are reading now). To me though this is not surprising at all. After all, it is said McGoohan had wanted a series that wouldn't just entertain. He saw that to it that it was made to, and continues to, make the audience think not only about the questions mentioned above, such as “who is Number One?”, but about the themes and concepts used throughout as well. 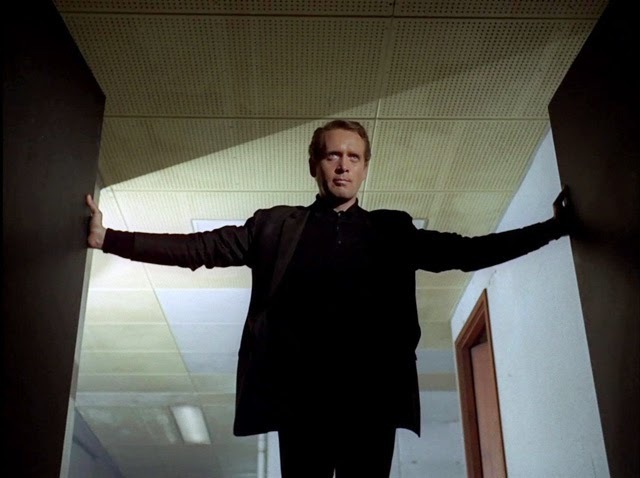 McGoohan did his part to keep it that way, maintaining the mystery by giving answers to some, but not all, of those questions over the years leading up to his unfortunate passing in early 2009. This article was originally published 16th February 2015.